If you want to conduct a reverse email lookup search or trace an email address to locate the name and address of the person that sent it, you will need to be able to provide the full email header and the email address. The instructions below should help you view and copy (extract) headers from many of the popular email programs. Once you are able to view and copy the full email header you can paste them into any online form or document you want. Click on “Options” tab on the top navigation bar. Click on the “Mail” link on the navigation bar on the left. Click on the “Mail Display Settings” link. Change the “Message Headers” option to “Full”. Log into your Yahoo! Mail account. Click the “Options” link on the navigation bar. Click the “General Preferences” link. Click the “Save” button to put your new settings into effect. Once this setting is saved, go back and open your email and you should view the headers. If the email is sent from anywhere OTHER then AOL, and you are receiving it in AOL, then open the email you want to trace, or have your client open the email, and look for the link Details. This link is usually just below the To:email in the email message. If the email is sent from an AOL user to another AOL user then our Reverse AOL Screenname search can get you the sender’s information. Click on the more options link in the message next to the date of the email. If the link says hide options then do not worry you have already clicked on the more options link. Now click the link called show original. This will bring up a new window with headers and the body of the message. Select “All” to view email headers. NOTE: With Viruses, Worms and Trojans being spread via email, many users now work with the preview screen in Outlook Express turned off. Viewing email in the preview screen is no different than opening the message. If the email has malicious content, it may execute in the preview screen. Select and Copy all the Text in the Internet Headers window. A new window will open showing the full message source with complete headers. Select menu item Message, Show, Raw Source. Note: This method will not work correctly with HTML. Note: Using the cut and paste to the web form method is the only option available to Eudora users. Open the email and click the button on the upper left hand corner of the message. This shows the extended headers. Select the whole message including headers and paste. There are 2 slightly different methods depending on whether the mail contains HTML or not. To prepare for HTML email you should turn off the use of Microsoft’s HTML viewer. Click Tools, then Options, then Viewing Mail. You can frequently spot HTML email because it does not look like plain text. It usually has some font effects (like bold or underlines), some graphics or pictures. It’s not always true so you have to take a quick look at the headers. Double click on the subject line to open the email. Click the button to reveal the headers. If the feature is enabled, you simply press “H” to toggle full headers. If the feature is not enabled, you must enable it first: From the main menu, press (S)etup, (C)onfig. Scroll down about 40 lines to the option labeled “enable-full-header-cmd.” Press [ENTER]. Press (E)xit, (Y)es – to save. Then you can return to the message window and use “H” to display the headers. Now you have to pick out the internet-style mail header information from the window that appears when you select Delivery Information. Click the blue triangle near the “from” information to show additional message information, then click the “Show Original Headers…” button to bring up the full header info. 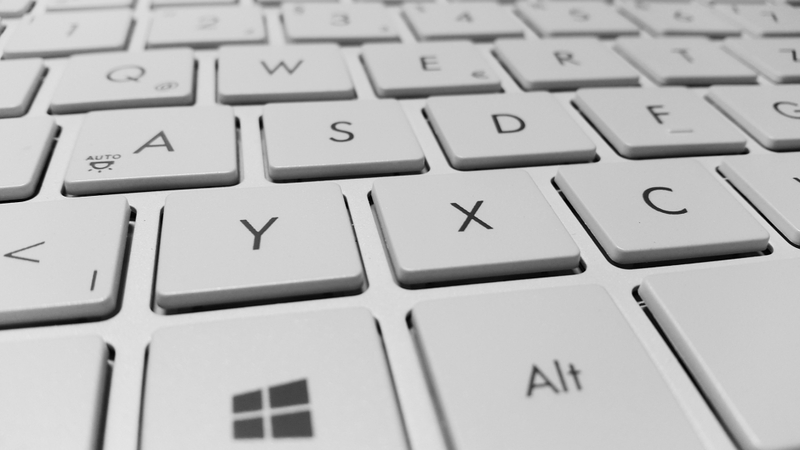 Press the keys ‘W’, then ‘v’ in the summary or mail buffer. Another method of temporarily switching to ALL headers is by pressing “Ctrl-u g” on the article in the summary buffer. These instructions written for v.3.56. On the drop down menu “Options”, choose “Email Options…” (press ctrl-E) Under “Show Message Headers”, select the “full” option. Click the OK button to save the setting. Juno version 4+ can display MIME and HTML email, but does not provide a way of viewing the HTML Source for the message within Juno. In the Juno mail client, click “file” and then “Save Message as Text File…” (CTRL-T). Give the file a name which you will remember (you can save a temporary files to the desktop). Double-click on the resulting file and then cut-and-paste the contents. Open the file in your preferred editor, then simply cut and paste. Alternatively, you may push F9 instead of the last two steps. With the message open, go to the Options menu and choose Verbose Header. This will put the full header inside the upper pane of the message’s window. Click on “Options.” In the “Additional Options” column, click on “Mail Display Options” and find the item “Message Headers.” Choose “Advanced” and click the “OK” button. 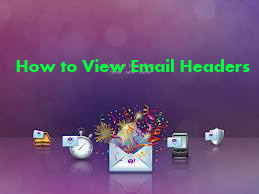 Headers will appear at the top of emails. First you must turn on “Full Headers”. From your Yahoo mail account, click on “Mail Preference”. Scroll down the page to “Message Headers” and click on the “all” radio button. Save your preferences at the bottom of the page. View the message. If the message is in plain text, copying from this page and pasting it will work. View the message and copy the complete headers. Ready to Paste. You can then see the headers in all messages in your folders. After opening the message, click on the Verbose Header link at the top of the window. When viewing an individual message, click on the tool bar menu item above the message “All Headers”. Highlight and copy the complete message from the viewing window and paste it. Click on the subject of the email in your inbox or other folder. This displays the message. Select “Download” from the above. A new browser window will appear with both the headers and the message text. Simply copy all the text and paste it. Select and copy the text then paste it. If you find any exceptions or corrections, please leave comments in this Article and we will do our best to keep this updated. Wow – great work – this is wonderful to have this in one spot.